Making Love? 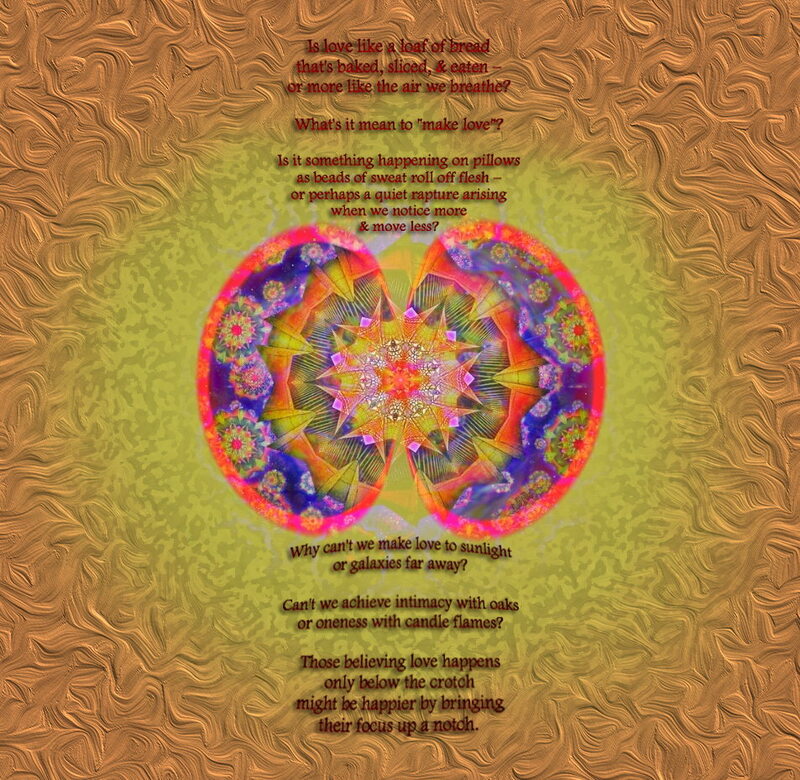 - a poem and graphic manipulation by T Newfields"
Copyright (c) 1983, 2012 by T Newfields. All rights reserved.